According to the UN, in 2008, Benin recorded a total population of 9.1 million with about 60 different ethnicities living in the country. The major ethnic groups consist of the Fon, Aja, and Yoruba in the south, and the Bariba, Somba, and Fulbe in the north. Recent migrants also include Malians, Nigerians, and Togolese. 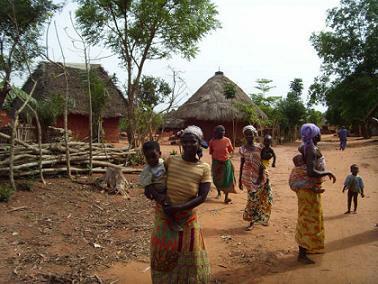 The majority of the population is found in the south of Benin. Although, at 59 years, the country has one of the lowest life expectancies due to AIDS and vectorborne diseases, the population of Benin is very vibrant and young. After years of political unrest, Benin is now emerging as one of the fast-growing countries in West Africa, and they take pride in their stable democracy and the development of strong political parties and a civil society. Like other developing countries, corruption continues to be a challenge, but on the bright side, the country enjoys significant progress and economic growth in both tourism and agriculture. As one of the safest countries on the African continent, eager adventurers from around the world now visit to see lions, antelopes, hippos, monkeys, and elephants. As the birthplace of Vodun, more commonly known as Voodoo, another tourist highlight in Benin is the annual celebration of Voodoo Day, drawing thousands of visitors from other countries. Situated in western Africa, Benin's neighboring countries are Togo to the west, Nigeria to the east, and Burkina Faso and Niger in the north. To the south is the so-called Bight of Benin, long known as the Slave Coast, a long established global trading place in the past that expanded throughout the history of Benin and of Africa in general. In comparison to its bordering countries, Benin is quite small, with just 43,480 square miles, almost the same size as the state of Ohio in the United States. The country is divided into five basic geographical zones: the productive plain lands in the north; the hilly parts in the northwest; the high plateau and savannah; the lower plateau; and the coastline. The climate is hot and humid, with two rainy seasons and two dry seasons each year. Originally, Benin was known as the Kingdom of Dahomey, one of the prominent medieval African kingdoms. In the 15th century, Portuguese traders came to the territory and established important trading stations, and traders from France, Britain, and The Netherlands later joined them. In the 19th century, the Kingdom of Dahomey began to decline and eventually, in 1872, the country became a French colony. After almost a century, the people of the region were granted autonomy from France and finally achieved full independence on August 1, 1960. Fifteen years later, the Republic of Dahomey was officially renamed as the People's Republic of Benin, named after the body of water on which the country is situated. After several military coups and some changes in its political systems, Benin finally embraced democracy and the new name, the Republic of Benin, in 1990. 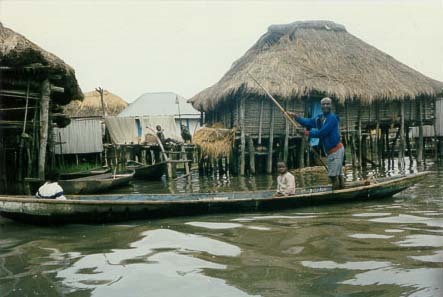 Abomey is an ancient city, formerly the capital of the Kingdom of Dahomey. The Royal Palaces of Abomey are listed in the UNESCO World Heritage List. 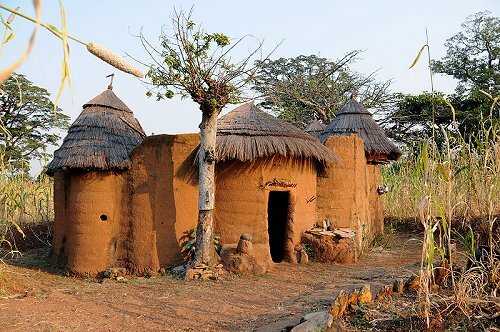 These earthen structures were built in 17th century and are considered a highly significant historical site in Africa, and a unique memento of a once powerful kingdom. 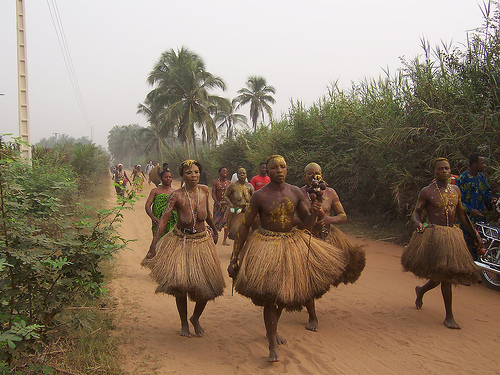 Allada is also a city of special interest in Benin as the cradle of Voodoo belief. Voodoo Day is a national festival that is celebrated every January of the year. Two additional attractions are the Reserve du W du Niger and the Pendjari National Park. These two attractions combine to provide excitement to many adventurers from around the world. If you are one of those adventurous types, plan a safari adventure to either, or both, of these areas for a unique vacation experience. The Ethnographique Museum, located in Porto Novo, the capital city of Benin, has an excellent collection of antiquities and historically significant artifacts. Benin is also the home of several delightful beers, local whiskey (aptly called moonshine), and a vibrant musical scene in most cities. One of its busiest nightlife areas is in Cotonou, the economic capital of Benin, also the location of the international airport and busiest port. Benin has been an important contributor to the development of African music, as heard in the Congolese rumba, French cabaret, Ghanaian folk music, and American modern music. Be sure to sample the local grog, the vin de palme, distilled from the palm tree. 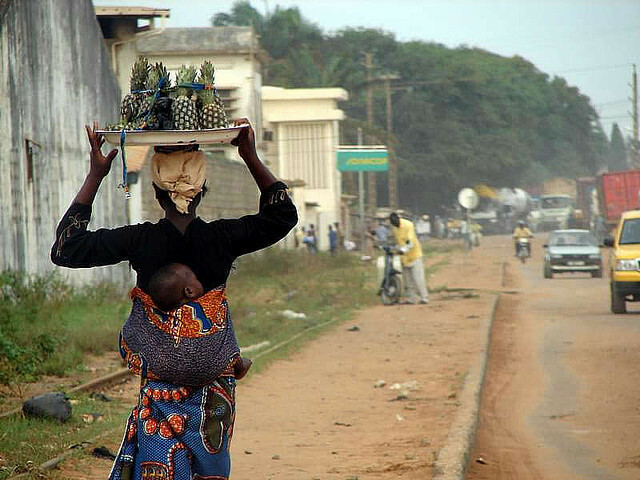 The major religions of Benin include Christianity, Islam, and other indigenous beliefs. According to a recent census, 42.8% of the population is Christian divided into Roman Catholic, Celestial Church of Christ, Methodist, and other Christian sects. Another 24.4% are Muslims, while the rest practice such indigenous beliefs as Vodun, Orisha, and other local animistic religions. French is the official language, but more than half of the people speak Fon. Other important dialects are Bariba, Dendi, Mina, and Yoruba. The English language is also taught in secondary schools. The French significantly influenced the cuisine of Benin, and several traditional recipes have clear traces of French finesse. However, these are only prepared on very special occasions. The traditional staples are rice, beans, cassava, corn, millet, yams, vegetables, fish, and chicken. Rice is cooked in a variety of ways for breads, cakes, porridge, stews, or served with soup. 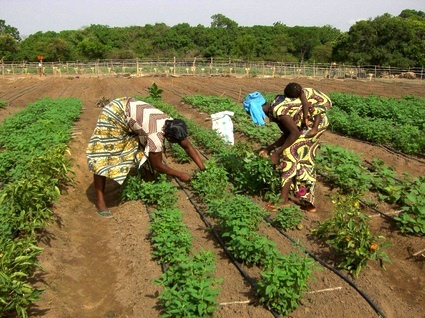 Because of its equatorial climate, Benin is richly blessed with vegetables, so the meals common to most dinner tables are vegetarian dishes.